Q. With all the smoothie recipes out there, it can get overwhelming fast. What are some simple key ingredients we can keep at home to give our bodies the nutrition we need on a regular basis? A. It absolutely can! The simplest but most impactful benefits are greens and veggies. I love cucumber in my green smoothie! Often times people like to only use fruit, which is delicious, of course! But adding veggies/greens creates an excellent and nutritious balance and helps offset the glycemic spike that fruit alone can cause. Q. Do you find various smoothie recipes provide different results based on ingredients or are there a go-to recipe that works well for all? A. Yes – and I would add that analyzing ingredients is really essential when trying to evaluate what/if health claims could come from the end result. If you are hoping for something substantial and to stand in for a meal, you’ll want to ensure adequate protein and fiber (our blueberry + hemp would be an example of this). Whereas if you are looking for a great detoxifier, things like cucumber and ginger would be of benefit (look at our cucumber + greens smoothie for inspiration). Q. Of course, many of our readers are either planning their weddings this year, attending weddings or just want to look their best for whatever lovely celebrations may come in ’19. 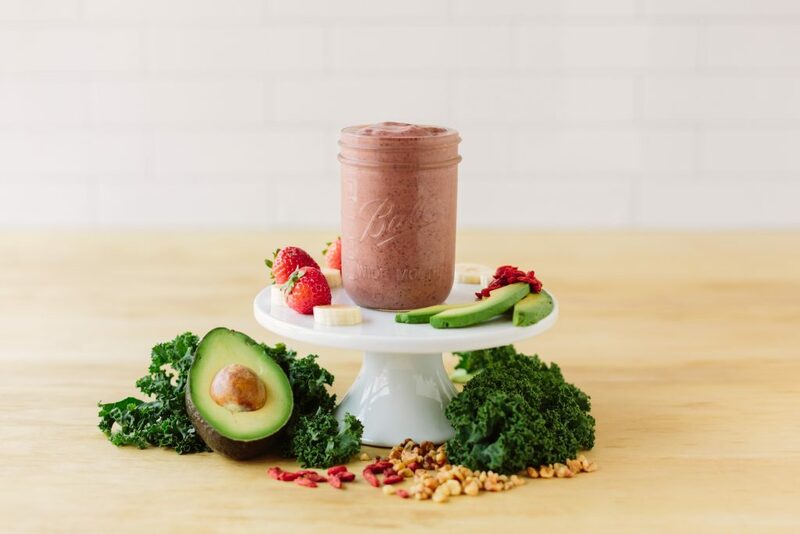 Is there a specific smoothie you recommend in creating a healthy wedding day or event ready glow? If so, what are some of the key components that make that you go to? A. Ahhh so many great options! Generally speaking, I would say that adding as many servings of unprocessed foods as possible is key and removing/limiting fried/processed food… Whole food smoothies are a great way to give your body an excellent portion of fruits and veggies without eating everything raw (especially if you don’t particularly like something raw – ie: kale). That “glow” we love comes from adequate consumption of healthy fats! Think of avocados, walnuts, and oily-skinned fish. Other foods that are excellent for your skin would include sweet potatoes, bell peppers, broccoli, blueberries, lemon, turmeric, and bone broth! Enjoying a wide variety of whole foods is definitely key! I love berries which are hard to come by in the colder months, so my go-to combination is definitely something with berries, nut butter, and greens! Q. 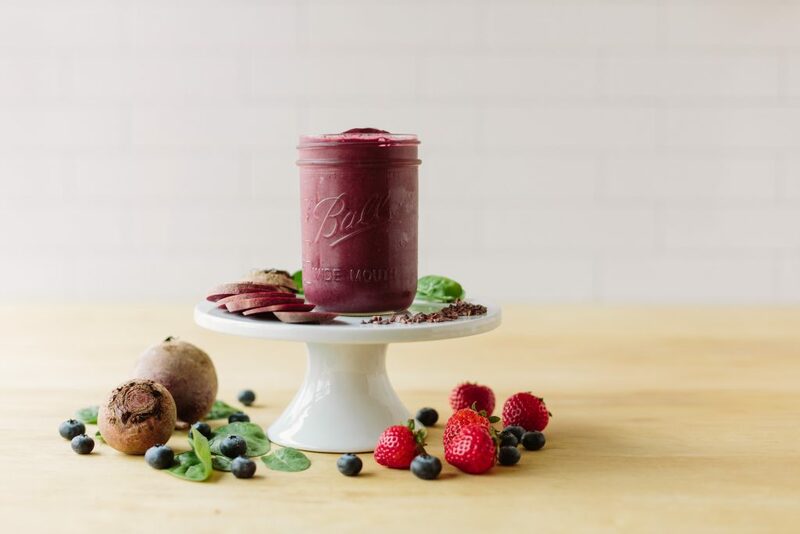 For those planning their weddings in Northern Michigan or beyond, what would be a great way for destination couples to incorporate smoothies into their wedding weekend? I could see these being a really lovely addition while the bridal party is having hair and make-up done or even being served at a farewell brunch for guests that may have indulged in too much the night before. A. I love where your thinking is at! Brides and their girls have LOVED having smoothies on the wedding morning. (I will add that makeup professionals are also a huge fan because drinking from a straw and grease-free food helps keep the makeup looking flawless!) Fueling properly, on what is probably the biggest day of your life thus far, is SO important! Mimosas and donuts will only take you so far 😉 If you want to be enjoying the last dance of the night, it is definitely a good idea to get an adequate nutritional base. 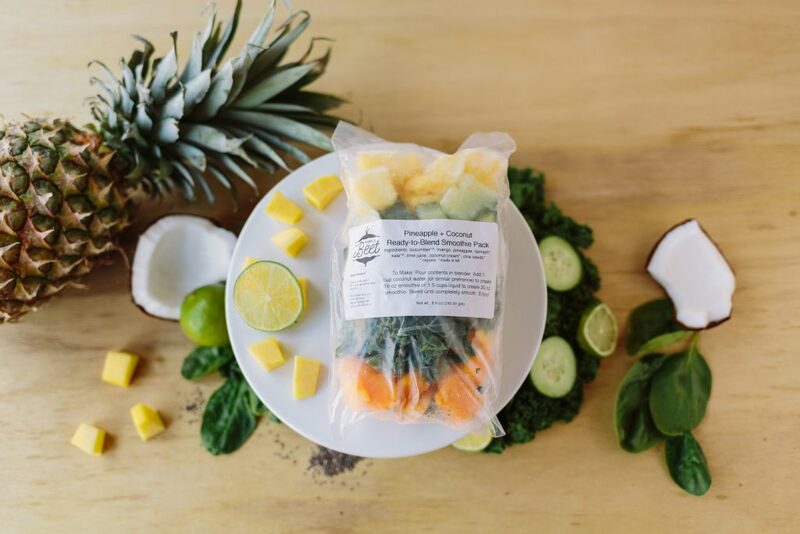 For Northern Michigan brides, we offer on-site blending of our smoothie packs! It is something I absolutely love doing!! Q. What are the biggest benefits of incorporating smoothies into your daily routine? And on average when does a person begin feeling the benefits? A. I would say the biggest benefit is that you are getting a large quantity of wholesome food, with all the naturally occurring fiber, in one drink. I have a hard time making myself a salad to eat mid-day, but throwing a handful of greens into the blender with some berries seems much more palatable! With real food, you can feel the benefits almost immediately! A smoothie with fresh ginger, for instance, can almost instantly be felt to ease stomach pains or promote digestion. Benefits on a cellular level, think of that “glow”, will take some time as the body’s stores of nutrients will need to be adequately sufficed before you may notice. It can/will happen though! The more diligent you are, the sooner you will notice results. Q. For many of us, we’re (I hate to use the word, but it’s true) busy! And with being busy, sometimes that means that we have to put our trust in others to help us with tasks we’re not familiar with. I love that you’ve taken the guesswork out and have made incorporating smoothies easy for those wanting to elevate their health this year. Tell us about how you’re helping others streamline their health with your products? Julie Moskal, has a Doctorate of Chiropractic and is the Owner/Creator of The Purple Beet. 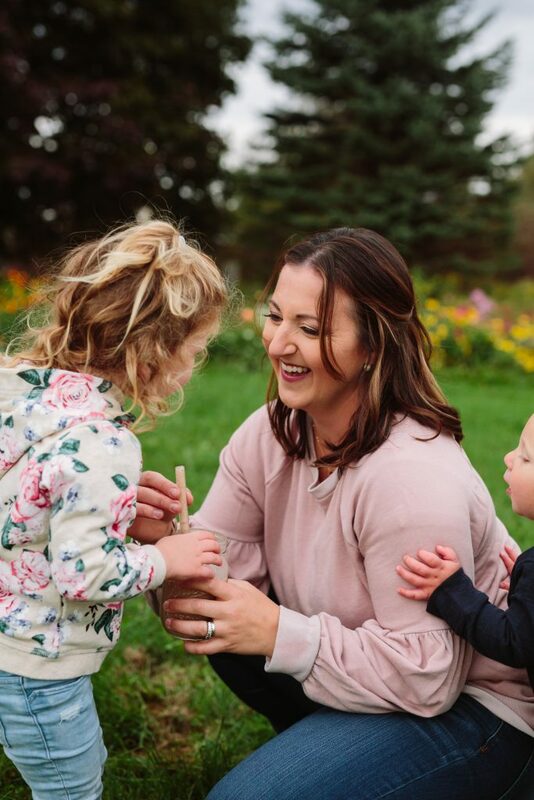 To order online and learn more about all the amazing ways Julie can help you live, love and celebrate beautifully on the lakeshore be sure to visit The Purple Beet.